Shhhhhh. 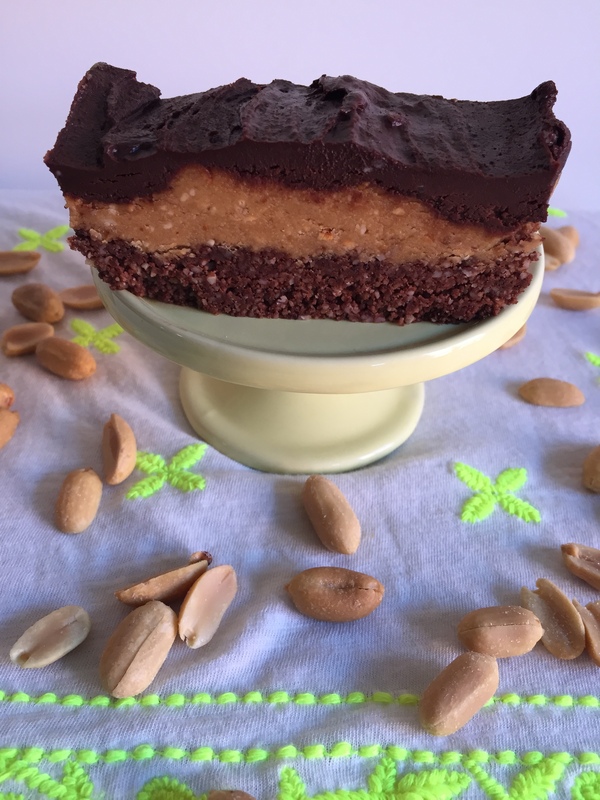 Don’t tell anyone but I’ve found a way to make vegan bars that taste just like store-bought peanut butter cups. (Tell everyone). 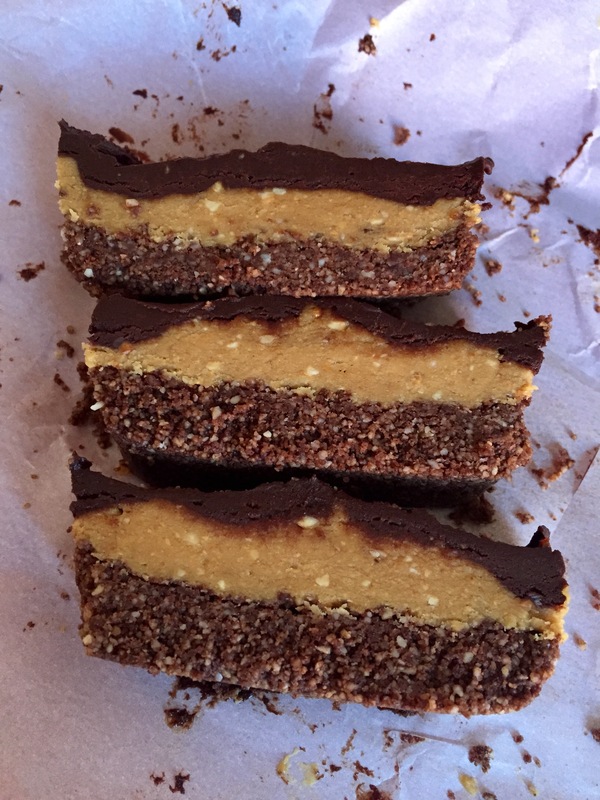 These particular chocolate-peanut bars are great post-workout or mid-afternoon when you’re craving a little chocolatey somethin’ somethin’. This recipe has coconut oil which contains rapidly metabolized MCT (medium chain triglyceride) oil, which provides rapid energy, cocoa which contains magnesium, a mineral that relaxes your heart and peanuts that provide protein and healthy fats. Place a sheet of parchment paper in a loaf pan. In a food processor or large bowl, mix all ingredients for the crust and firmly press into the pan. Place in freezer to harden. For the filling, mix all ingredients in a large bowl (or food processor) and spread over the crust. Place back in the freezer to set. For the chocolate topping, combine all ingredients and carefully spread atop the filling (use a spatula). Return to the freezer for a couple of hours until all layers have properly hardened. Remove by grabbing onto parchment paper.